On Thursday afternoon, November 17, 1881, a public meeting was held in the New Maryland School House to discuss the possibility of building a Presbyterian Church. The families represented at the meeting were members of St. Paul's Presbyterian Church of Fredericton, but were determined to form and house a local congregation in New Maryland. The Rev. A. J. Mowatt, pastor of St. Paul's at that time, chaired the meeting. It was moved and seconded, and unanimously agreed upon, that this meeting recognize the necessity and importance of having a church erected and that steps be taken at once towards the building of such a church. A committee was appointed to take into consideration the matters of site and cost estimates. Named to the committee were: Mr. Alexander Haining, Mr. David Haining, Mr. Andrew McMurtrie, Mr. Archibald Charters, Sr., Mr. William Shaw, Jr., Mr. John Greer and Mr. James Haining, Jr.
Money was raised by various means over the next two years to help defray the cost of the building materials. In the spring of 1883 fifteen hundred feet of hemlock boards were purchased at a cost of $10.50. Over the next two years additional materials were purchased including pine boards, shingles and nails. In July 1886 a trench was dug for the church foundation and during that summer a building 24 feet by 20 feet was built and painted outside. The labour was donated, for the most part, by men of the congregation. The building was "closed in" and Sunday services were held in the unfinished interior. In the summer of 1887 the counter plastering of the interior was begun and was completed by November. In September of 1887 an organ was purchased for $17.25 and a pulpit for $12.00. In October seats were purchased totaling $45.00. On the 1st of November the finish plastering of the interior was completed. A fire was kept on in the church stove all night to keep the plaster from freezing. The dedication service for the church building was held on the 27th of November in the church, being given the name "Branch of St. Paul's" but was often referred to as "The New Maryland Kirk". Church members at the time of the dedication were twenty in number. Several members of the choir at St. Paul's Presbyterian Church assisted the choir of the New Maryland Kirk at the dedication service. The offering amounted to $29.31. 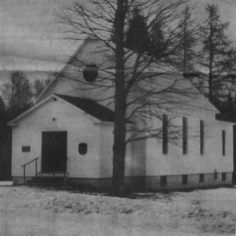 The first Communion service was held in the New Maryland Kirk on New Year’s day, 1888. For ten years ministers from St. Paul’s Presbyterian Church travelled by horse and carriage to conduct services at the little country church. In 1897 the congregation voted to withdraw from St. Paul’s and join the Home Mission Board. For the next thirty years student ministers conducted worship during the summer months. During those years monies received from parishioners, the Sunday School, pie socials, the Sewing Circle, tea meetings, concerts and rainbow socials, allowed improvements to be made to the Kirk, including kerosene lamps installed on the walls, a steel roof installed, a vestibule added to the entrance, and a horse shed built across the road. In 1925 the church entered into union with the Methodist, Congregational and Presbyterian Churches, becoming the New Maryland United Church of Canada. Three years later the church was included in a circuit with the Oromocto and Kingsclear United Churches and for eleven years shared the various ministers assigned to the circuit. 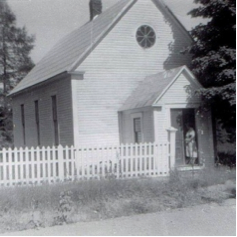 By 1940, and for the next twelve years, the church was ministered to by the pastors of St. Paul’s United Church in Fredericton. More changes were taking place, including the installation of a block wall under the church, the interior being redecorated, electric lighting being installed, and the formation of The Women’s Association, years later to become known as the UCW. In 1952 the church became part of the Nashwaaksis Charge of the United Church. Seven years later a basement was constructed under the church, a choir loft was added, the vestibule and the altar area were enlarged, and the church’s first electric organ was purchased, replacing the antique pump organ. ​​Sunday School has always played a big part of our church’s Christian Education, beginning in 1885 and continuing on to the present day. An Explorers group was formed in 1954 and continued through various years to 1987. When the girls became 12 years of age, they joined the CGIT group formed in 1961 and remaining active until 1987. In 1964 the cemetery was expanded and in the following year the portable bench pews were replaced with sixteen oak pews. In 1967 the church joined with the Lincoln Wesley United to become part of the Lincoln-New Maryland Pastoral Charge. The six windows in the sanctuary were replaced with stained-glass windows. In 1968 the Vanier Pastoral Charge was formed, consisting of Lincoln Wesley, Forest Hill and the New Maryland United churches. 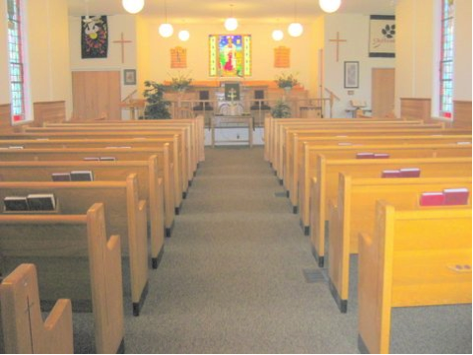 In 1980 an addition to the building allowed the enlargement of the sanctuary, choir loft and basement and three years later on July 1, 1983 the New Maryland United Church became a single-point charge. ​Ensuing years saw the parking lot improved, an additional parcel of land purchased, a 3-year rental of the church basement to School District 26 kindergarten classes, a Men’s Group formed, new pews and rails installed, a lighted church sign purchased, and in 2003 a private school established in the church basement by Dr. Carolyn Barry which still exists to this day. In 2007 choir gowns were purchased and dedicated in memory of Myrtle Charters who had been organist in the church for 35 years. 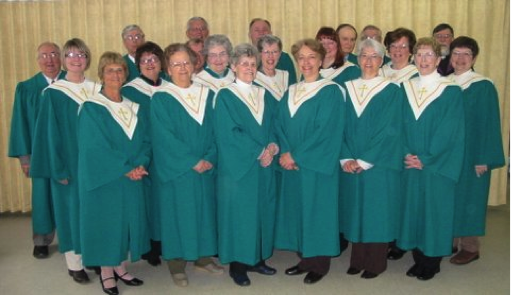 In 2007 new choir gowns were purchased. 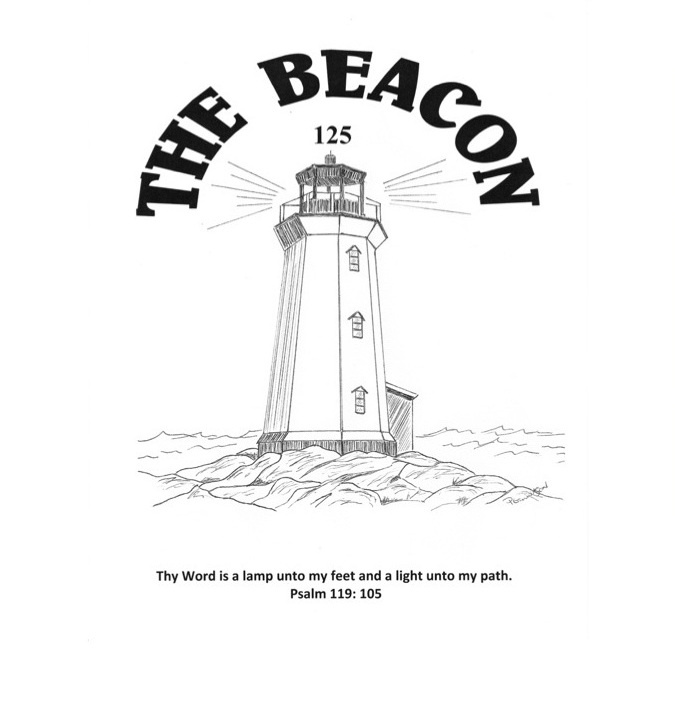 ​In 2008 a church newsletter was initiated, two years later given the name ‘The Beacon’ and one year later a new carpet graced the sanctuary. Pew cushions were installed in 2012. In 2011 an Accessibility Committee was established, the efforts of the committee resulting in the installation of a lift, making the church completely accessible by the year 2016. The lift fits in beautifully with the new addition to the church building constructed from 2014 to 2015, creating a new foyer at the side door off the parking lot, washrooms, a spacious lobby and entrance to the sanctuary, minister’s and secretary’s offices, Sunday School and meeting rooms, storage space, and an enlarged kitchen/dining area.